Just like any other piece of DJ equipment, DJ headphones need to meet certain requirements that have to do with how and where they are typically used. By the way, DJs are expected to bring their own headphones with them to a club, so keep in mind that your first pair of “cans” may have to graduate from the bedroom together with yourself. Isolation. In a loud environment with bass booming all around, it’s extremely important that your headphones let you listen precisely to what you are doing. You want your “cans” to cut out all that background noise as efficiently as possible. This explains why any pair of half-decent DJ headphones is closed-back type, although that alone doesn’t guarantee good isolation. Comfort. You’ll be wearing your headphones for hours, so make sure they’re light and don’t press on your head too much. Also, go for a thick, long cord that doesn’t constrain your movements behind the decks. Ruggedness. DJ booth environment may be harsh. Your cans will get twisted, dropped, kicked and stepped on (mostly by yourself). It’s better if they don’t break instantly, so ruggedness pays. Convenience. Two-ear and one-ear monitoring, shoulder-ear vs. one-earcup-on-the-side – DJs use their ‘phones in a multitude of ways. That’s when you begin to appreciate swivel/rotating cups and a shoulder pad. Frequency response and sound quality. The hearing range of a (young) human ear is 20 to 20,000 Hz. The wider your “cans’” frequency range, the better, although manufacturers’ claims such as “5 Hz to 30,000 Hz frequency response” are usually an overstatement. Sound quality is more subjective and needs to be assessed by actually listening to the particular pair. 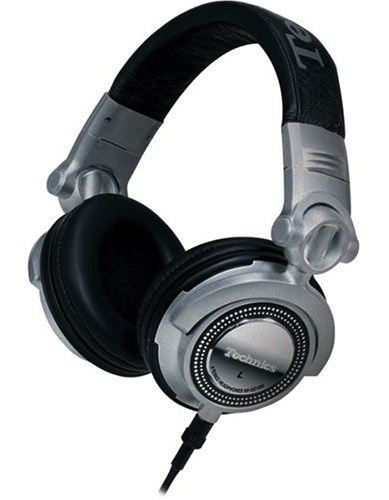 Now that we’ve covered the basics, let’s take a look at some worthwhile models of DJ headphones out there. If you’re on an ultra-low budget, take a look at the Sennheiser HD 205, which is arguably the best pair of ‘phones you can find for under $50. For the money, you get the Sennheiser sound quality, closed-back cups and the ability to slide one of the earpieces left or right. 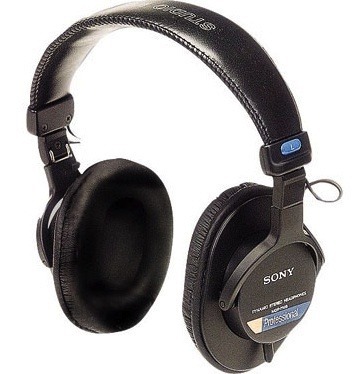 For up to $100 to spend on the headphones, consider getting the Sony MDR-7506 (MDR-V6) or the Sennheiser HD 280 Pro. Choosing between the two is a matter of personal preference. There are folks who say that the HD 280s have flatter response – not necessarily an advantage for a DJ – and that the 7506s’ highs are brighter. Make sure to check how both models sound to you. 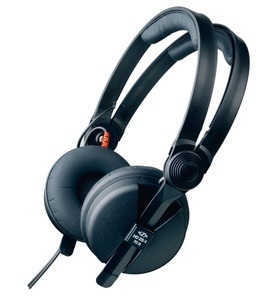 Still higher up are the widely used Sony MDR-V700 followed by the Technics RP-DH1200 and the Pioneer HDJ-1000. All three are pretty comfortable and sound great; as far as the differences go, the MDR-V700s are said to break easily, the 1200s are rugged but almost too heavy, and the HDJ-1000s have massive bass but suffer from the weak swivel. Finally, if money is no object, take a look at the Sennheiser HD 25-1 II (pictured above) and the Pioneer HDJ-2000. The Sennheisers may not look like much, but they are light and ultra-comfortable, sound fantastic and provide great isolation. The HD 25s’ response is very flat, whereas the HDJ-2000s have stronger bass and accented highs, which makes them sound more “DJ-like.” Overall, both models are awesome, so choose the one that suits you best. The final decision is up to you but here’s a piece of obvious advice: Make sure you listen to a few different models of DJ headphones before purchasing a pair. Pay attention to the sound quality, isolation, comfortability and all the other points mentioned above. Remember that no overview will replace your personal experience with a given pair of cans. If you decided to go for a pair of vinyl turntables for your setup, you’ll also need to buy cartridges and needles for them. Sometimes a turntable will come with a basic cartridge, but that’s more of an exception than the rule. A cartridge is a device that holds the needle (also known as the stylus) and transforms its mechanical vibrations into electric signals. Pictured to the left is the Stanton 500.V3 cartridge; the stylus is the white part with the needle tip that goes into the black “cart”. The cartridge is mounted with a pair of screws on the headshell (it comes with the turntable) and connected to it with four colored wires. There are also the cool-looking “integrated” type cartridges that don’t use a headshell and are attached to the tonearm directly. Carts normally come with a pre-installed stylus. After it wears out, you simply replace it with a new matching one without having to buy a new cartridge. Headshell-mounted vs. “integrated” type cartridge. Headshell-mounted carts are normally cheaper. On the other hand, the all-in-one carts look really awesome. Besides, with the “integrated” type, you don’t need to worry about mounting the cart on the headshell correctly and attaching those tiny wires. Stylus shape. Spherical stylii (or styluses?) are the cheapest to produce and therefore the most common. Elliptical shaped stylii are more expensive but they also sound better. On the other hand, an elliptical stylus will wear out your records faster if you do extensive scratching or back-cueing. Frequency response. The wider your cart’s frequency response range, the more accurate it is in turning those record grooves into sound and the better the overall sound quality. Tracking. This one is a subjective characteristic that tells you how likely the cartridge is to skip when you’re manhandling the record. 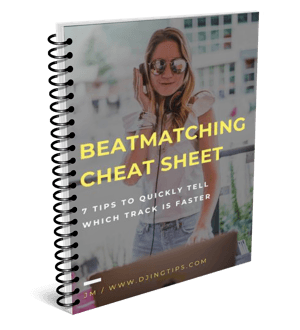 Good tracking is pivotal if you’re planning to do any scratching. A quick note for users of DVS such as Torq or Serato: You don’t need to buy some special cartridges for your timecoded vinyl. Any regular phono cartridge will do the job just fine. Also, in the DVS scenario, the cartridge’s sound quality becomes less of a concern because the sound comes from your laptop’s hard drive anyway. On the other hand, DVS users tend to scratch and back-cue more (timecoded vinyl is cheap and replaceable), and that makes good tracking even more important. Now on to some popular models. 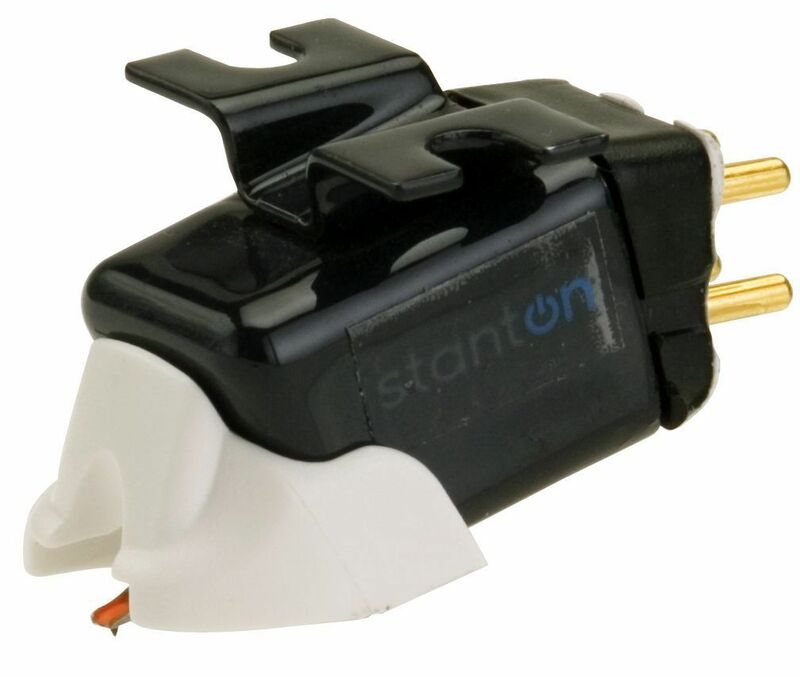 If you’re just starting out, take a look at the Stanton 500.V3, the latest version of the classic 500 AL cartridge. This headshell-mounted cart has a spherical stylus and provides good sound quality for the price ($30), although it falls a bit short in the higher frequency range with its 17,000 Hz limit. 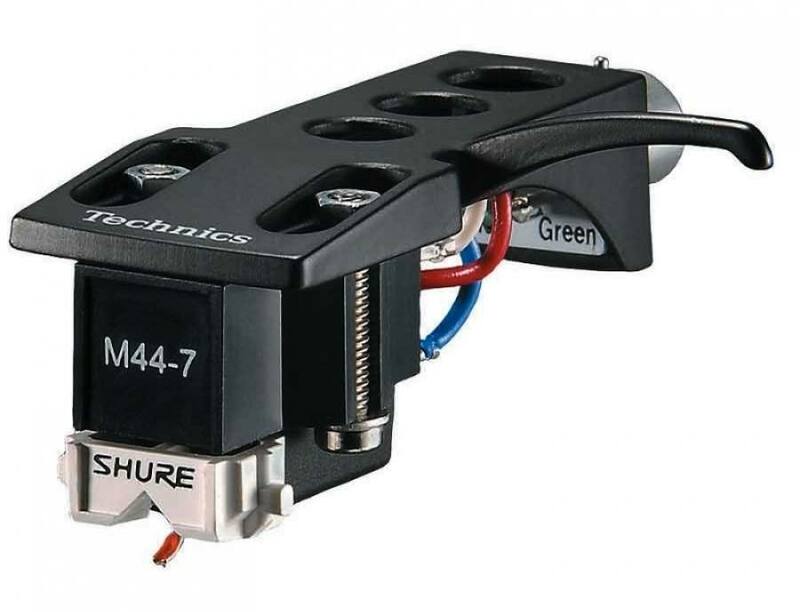 About twice as expensive are the headshell-mounted cartridges of the Shure M44 series. The virtually unskippable M44-7 has long been the scratchers’ favorite, and now it’s found its way into a lot of DVS setups. However, I wouldn’t use the M44-7 to listen to my record collection because of the excessive emphasis it puts on the lows and highs. The M44-G doesn’t track just as well as the M44-7 but it sounds better, which makes it more suitable for mixing. Both carts’ needles are of the spherical type. 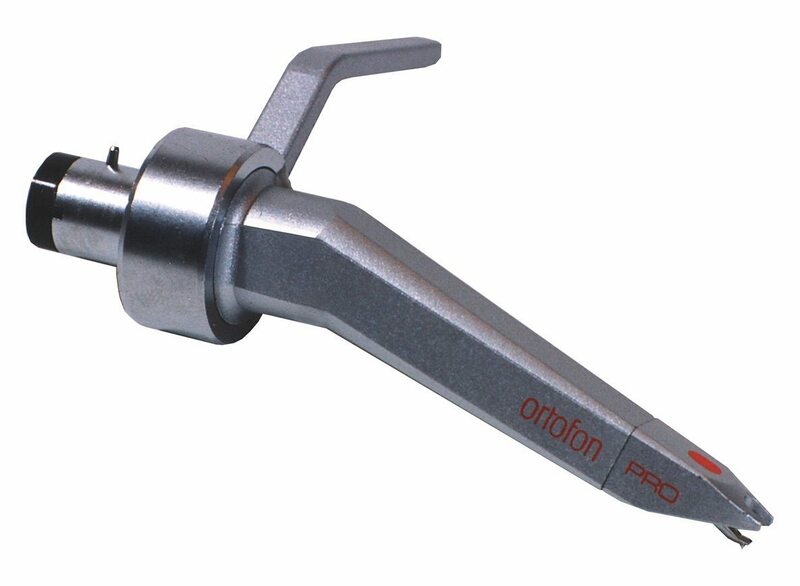 Still higher up are the all-in-one Ortofon cartridges (see the Ortofon Concorde Pro above) that come in a lot of variations aimed at various DJing styles. While the Shure M44-7 is still your best bet for scratching, do take a look at Ortofon carts if you’re a mixing DJ who’s after the best sound quality. Be prepared to pay for it, though, because an Ortofon cart may easily cost you upwards of $100. A few words to wrap it up: My first pair of cartridges were the Stanton 500 AL IIs (a version of the 500 AL), and I haven’t had any problems with them. Sure, pricier carts provide better sound quality, but for a beginner DJ, the difference doesn’t justify paying $50-150 more for a pair. Apart from the mixer, the carts are something you can safely save on in your first setup. So, you got your turntables, cartridges and needles, are you all set now? Not really. You still need slipmats – circular felt mats about 1/8” thick that sit between the record and the platter. A slipmat lets the platter rotate underneath while you’re holding the record with your hand; let go of the record and it starts right away. First, don’t confuse slipmats with the rubber mats that came with your decks. Those stop the record from slipping and dampen vibrations. They are meant for listening to that Tchaikovsky concerto on your hi-fi system, but not for DJing. Put them away. Second, some slipmats come with additional mats made of shiny paper. If you’re a scratcher, you put those between the platter and the slipmat to further reduce friction. Otherwise, you don’t need them. There’s a huge variety of slipmats out there. My advice is to go for trusted brands such as Technics or Butter Rugs; cheaper slipmats with excessive printing may reduce slipping and even damage your records. 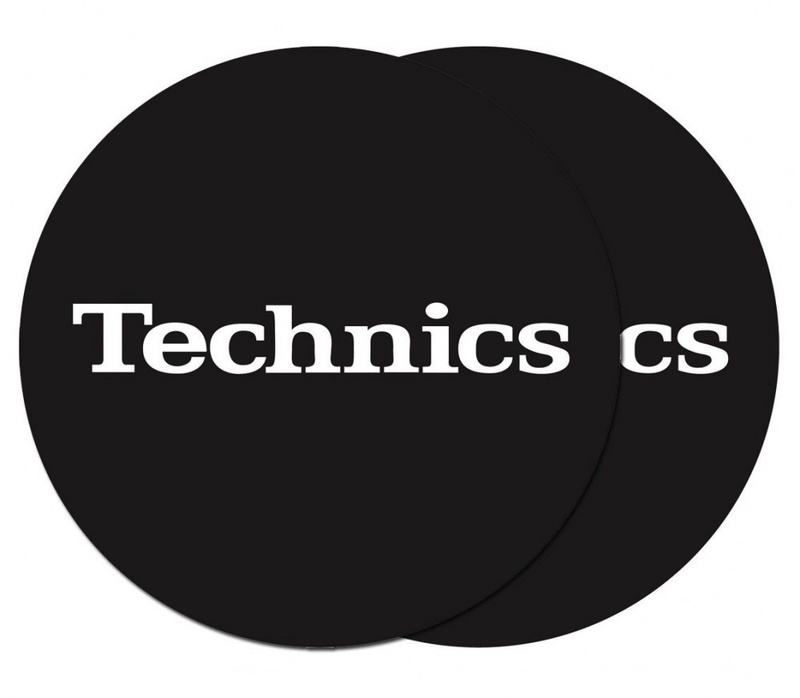 Expect a pair of decent slipmats to cost you around $15-30. Really a helpful article. Everything is perfectly described. The best guide for one who are looking to buy Djing equipments.